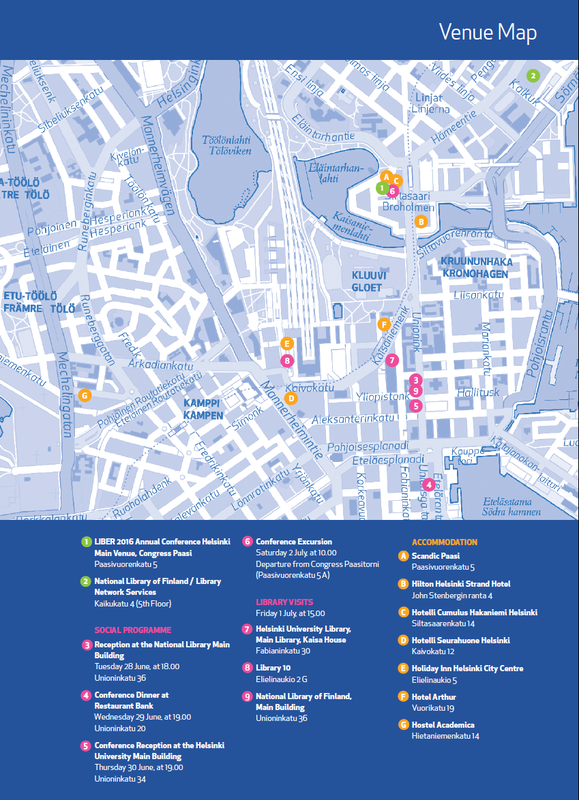 All venues and locations related to the LIBER 2016 conference in Helsinki can be found on the map above. Most of the venues are situated within easy walking distance of each other. Trams are another easy way to move around. 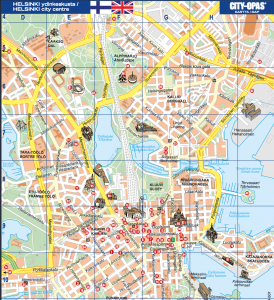 On the left you’ll find the general area map printed in the Conference Programme. 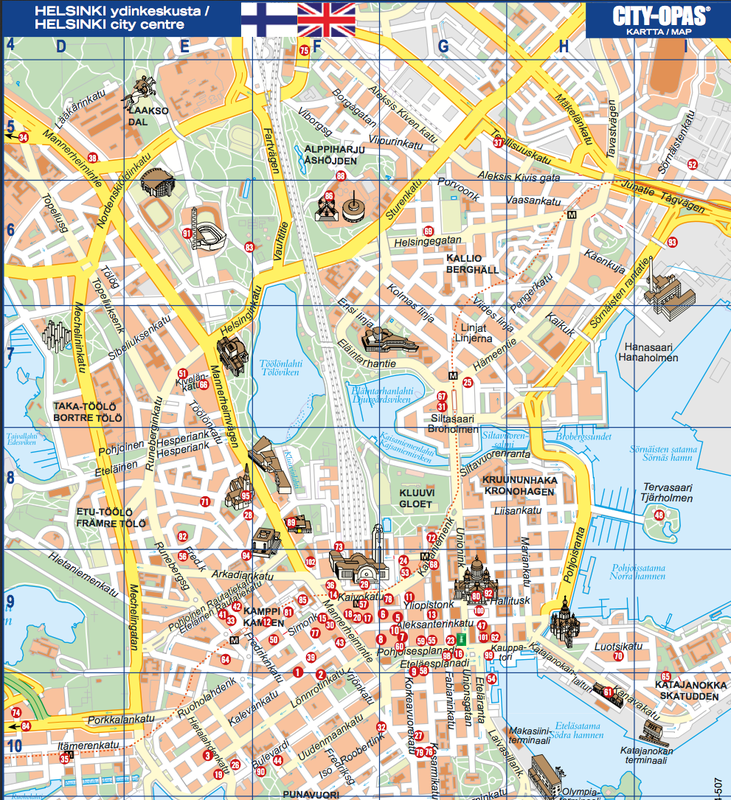 Below is a general tourist map of Helsinki (click to open).